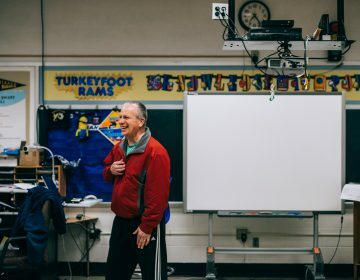 In the late 1990s, Matthew Riggan was becoming convinced that traditional teaching methods weren’t providing kids with authentic opportunities to learn. So he and some colleagues designed an approach that this week earned their new school in Philadelphia praise from the White House. 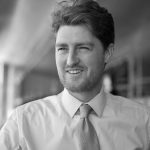 In the late 1990s, Matthew Riggan was becoming convinced that traditional teaching methods weren’t providing kids with authentic opportunities to learn. As the coordinator for West Philadelphia High School’s after-school activities and adult learning, Riggan witnessed how the system was failing students all along the educational continuum. 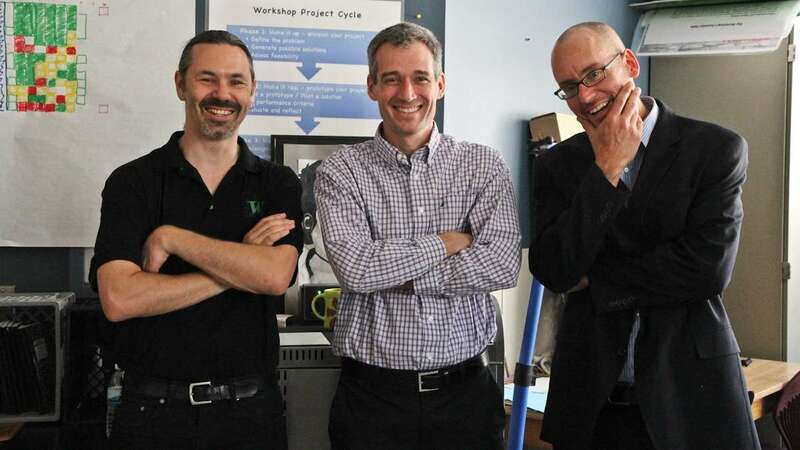 He found he shared a vision with three of his colleagues – Simon Hauger, Michael Clapper, and C. Aiden Downey. Those talks spun the chrysalis of what eventually turned into a new public, non-selective admission school – The Workshop School. The school this week won honors from the White House. 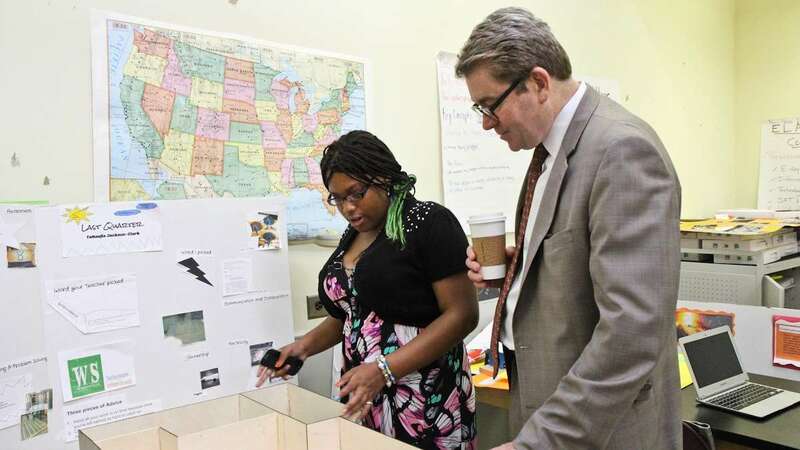 This was the Workshop School’s first year as a full-fledged, four-year high school. For the two previous years, it was a pilot-program based in the Navy Yard for a handful of district 12th graders. 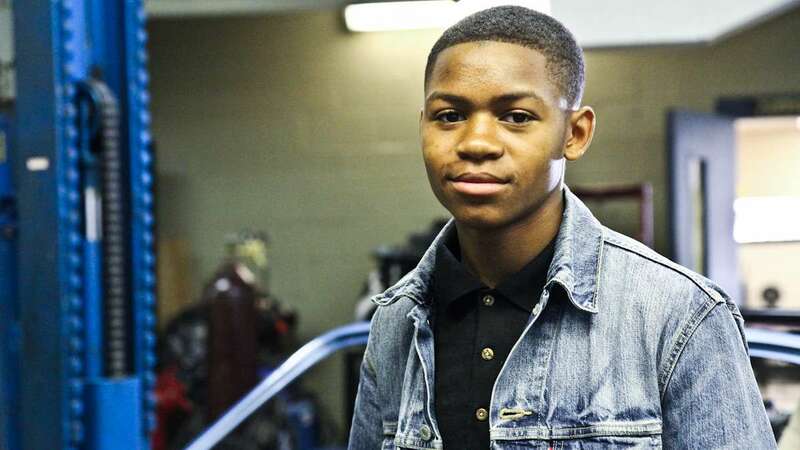 The pilot grew out of those early discussions and out of West Philly High’s award winning alternative-energy automotive program – a wildly successful endeavor overseen by Hauger that was featured in a PBS Frontline documentary and earned praise from President Obama. On Wednesday, students from the Workshop School were back at the White House at a STEM event to show off a biodiesel car they built that operates on used fryer oil and gets 100 miles per gallon. 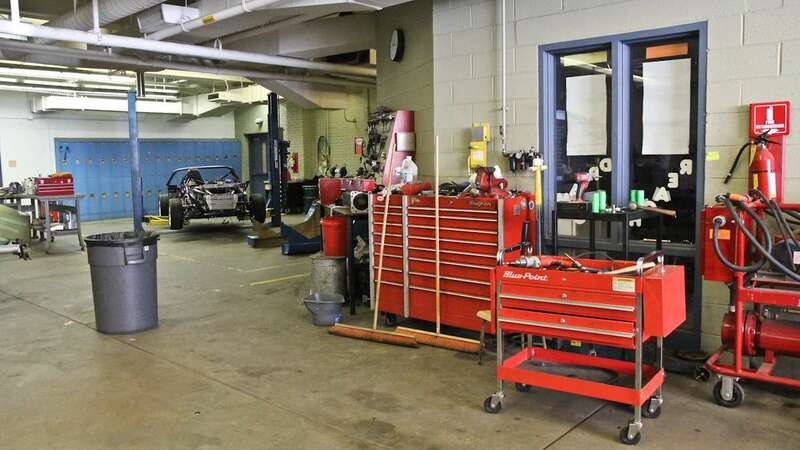 The school, which will grow to 160 kids next year, had only 90 students this year – the majority of whom were enrolled last year in West Philly High’s automotive division. The Workshop School took over that program, attracted private philanthropy, and started changing students’ outlooks. “I forgot all about last year because of this year. Let’s just put it like that,” said Haziz Self, a Workshop School 12th grader. Self loves the fact that the school is project based. Unlike traditional high schools, the Workshop School doesn’t divide its class periods by subject. 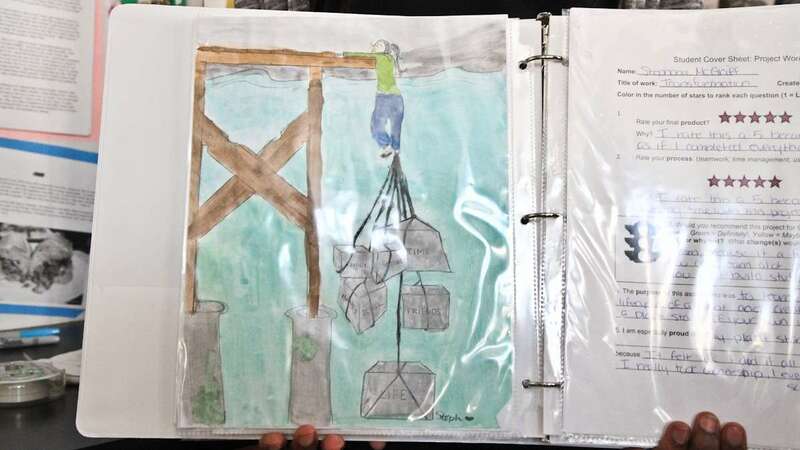 Although students get traditional math and English in the afternoons, mornings consist of two, 90-minute project blocks in which students learn a multitude of skill sets at once. Teacher Frankie Bonilla said some of his students turned a classroom closet into a recording studio this year, then learned to compose and produce songs. Walking through the halls of the Workshop School, you can feel the hubbub of experimentation and collaboration. 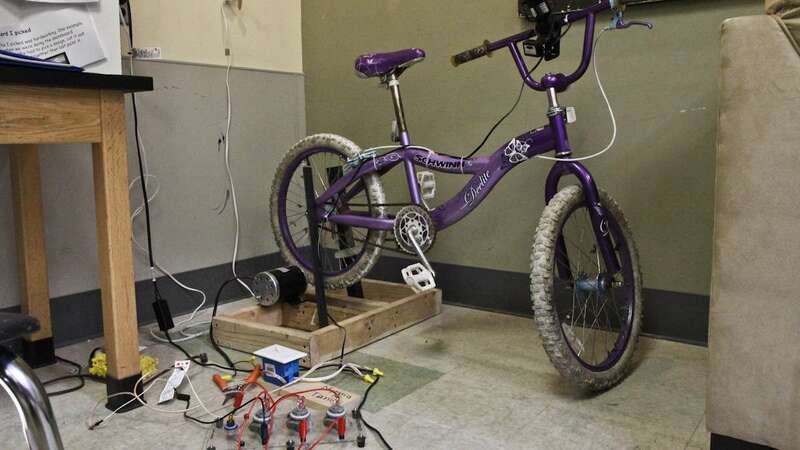 One 9th grader connects the electrical system on a miniature solar panel. Another tweaks his design concept to make 52nd Street more pedestrian-friendly. A third shows off a visual representation of her poetry portfolio. 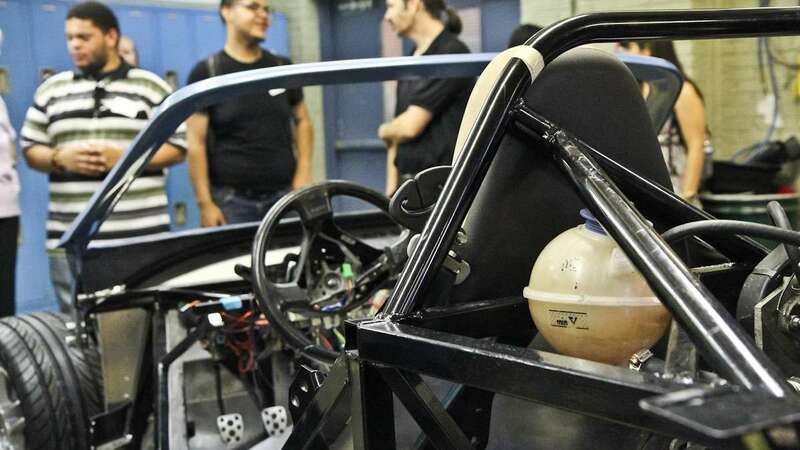 On the ground floor, students work together in three large automotive shops to design and build hybrid cars. For Riggan, who now serves as the executive director of the school’s non-profit wing, what really sets the Workshop School apart is its insistence that kids need freedom to learn from their mistakes. Riggan admits this approach carries with it a set of challenges. But Haziz Self says the freedom – and the corresponding responsibility – has sparked fires of hope and determination within many of his peers. But as the year progressed and the Workshop School’s philosophy began to take hold, he said classmates started talking more ambitiously about the future. Self understands the transition perhaps better than anyone. His mom had been arrested and imprisoned, and he had to move to West Philly to live with his dad after years of living in South Jersey. In the fall, Self will head to Shippensburg University. The Workshop School has the district’s OK to expand to 480 students. That’s indicative of Superintendent William Hite’s strategy of expanding school options even in a time of continuing budget crisis. Schools he considered low-performing or under-enrolled get shut, while ideas he considers innovative get support. 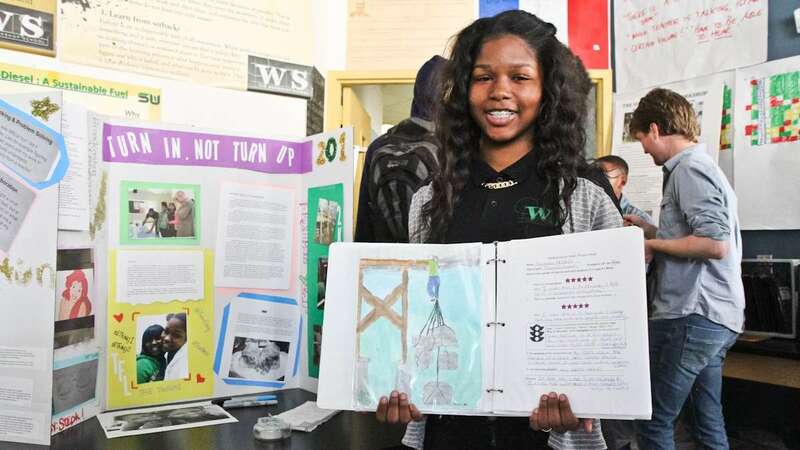 Some have criticized this approach, questioning why select schools such as The Workshop School get to expand while some traditional schools either get closed or see resources stripped to the core. The district needs an additional $96 million just to keep resources at this year’s bare-bones levels. At July 2013 School Reform Commission meeting, former commissioner Joseph Dworetzky cast the lone ‘no’ vote against allowing The Workshop School to expand. Although he praised the school’s method, he argued that the district couldn’t afford to sustain its growth. The Philadelphia School Partnership, a private nonprofit, granted the Workshop School $1.6 million in start-up funding that will disappear after four years. By 2018, the district expects that funding the school will cost $2,749,749, which works out to a marginal per pupil cost of $5,729. At the same SRC meeting that approved the growth of The Workshop School, the commissioners also gave their blessing to two selective-admission magnet schools: Hill-Freedman World Academy in Northwest Philadelphia and the Science Leadership Academy’s Beeber Campus in West Philly. These schools also received start-up funding from the Philadelphia School Partnership. 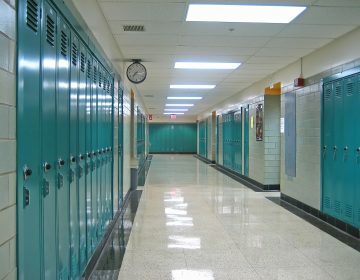 The district also plans to open three new non-selective admission, project-based high schools in North Philadelphia the Fall: The U School, Building 21, and The Linc. This raises concerns from parents frustrated with this year’s Doomsday-budget classrooms. “Why are we not investing our money, our very precious limited money right now in what we have,” asked Terrilyn McCormick, parent of students at The Philadelphia Creative and Performing Arts School (CAPA) and Penn Alexander. 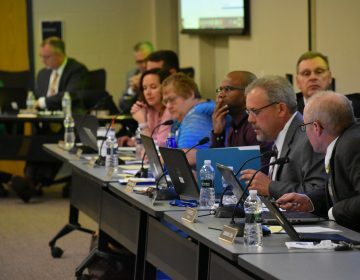 Between 2012-13 and 2013-14, CAPA saw its budget reduced by $1 million, in cuts that shed eight teachers, three support staffers, and all funds for non-athletic extracurriculars. In greener years, CAPA, she says, was once considered a new and revolutionary school as well. He says it’s difficult to predict exactly how these new schools will affect the district’s bottom line because they may attract students back from charter schools. If the district is to retain families in the city, he says, it cannot afford to wait to create better options for neighborhood school students. “We think that what we’re doing is creating more opportunity, not less,” Kihn said.